Photographers often say that the best photographs are taken close to home and I have to agree with this. I would really like to describe how I trekked miles in to a remote ancient woodland and fought off three bears for this image but it would be far from the truth as the location was in the garden. The garden is very wildlife friendly and a section of it in the spring is covered by a yellow carpet of Lesser Celandine. 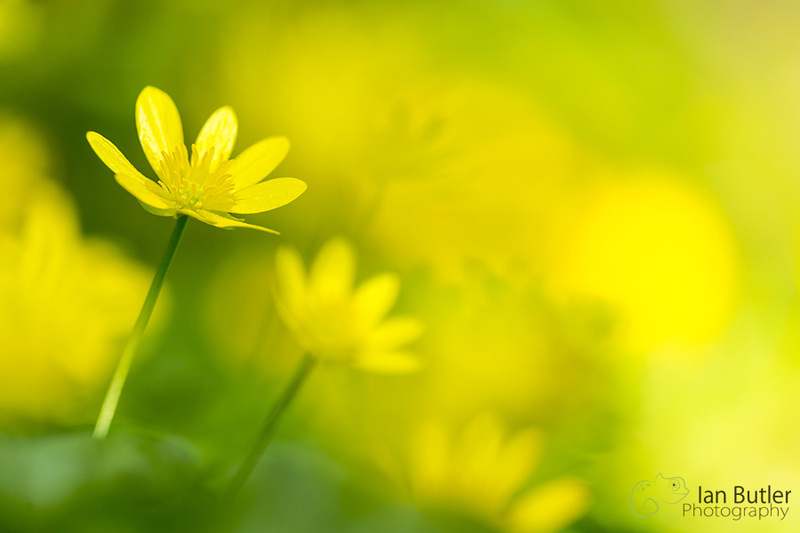 The celandine is from the Ranunculus family which holds around 600 species including the buttercups. I particularly liked this image with the composition and depth of field. Canon 5D Mk3 and Sigma 150mm f/2.8 macro lens with angle finder. Handheld. 1/250s, f/4 at ISO400.